The name Montana dates back to when the Spanish made really good quality absinthes in the mid 1900's. Today, Montana is nothing but an oil mix. But still, one of the better ones. This is one that I had been meaning to buy for a long time but never got hold of it. Now I got it, and I must say I'm quite pleased with it. It's color is very light yellowish, a little like the Un Emile, actually. It's been artificially modified, but it's very well done. The taste too reminds me of the Emile but not by far as complex and heavier on the anise. It also has the typical spanish absinthe lemon taste, but that is not as dominant in this one as in some other Spanish brands like the Lasala, it's there, but well balanced. I think they've managed to put together a nice drink here, with a smooth floral character, that I find very appealing. It produces a fine louche and adding sugar to it makes it really nice, but is not at all necessary. It doesn't quite reach the top though, but it's well worth the money spent, and I only wish the bottle I got was bigger. 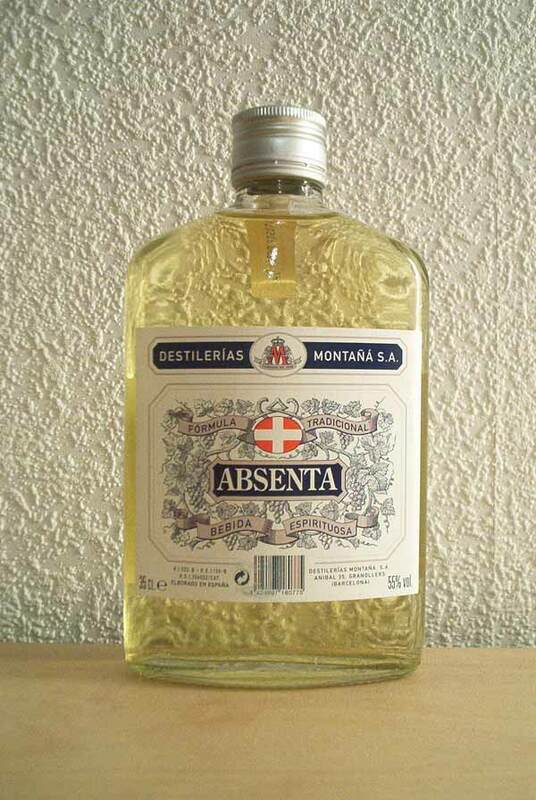 Having tasted a Vintage 1969 Montana Absenta, which is a true distilled absinthe, I can only say it's a pity they changed their recipe and started using essences instead. There is now a Montana 68 available, and I hope that one is closer to the original Montana, since that one is actually very tasty.